Kelowna has something for everyone this coming Canada Day long weekend. Whether you want to swim in the lake, dine in the vineyards, take in a festival, listen to live music, explore and learn with your family, or all of the above... the event selection this year will have you wearing red and white to show your Canadian pride. With indoor and outdoor fun for the whole family, the festivities start at 10:00 am and take place throughout Canada Day with entertainment, live music, a folk festival and food fair, an artisan marketplace, a giant mural that you can colour and be a part of, and blanket exercises put on by Ki-Low-Na Friendship Society, and so much more. 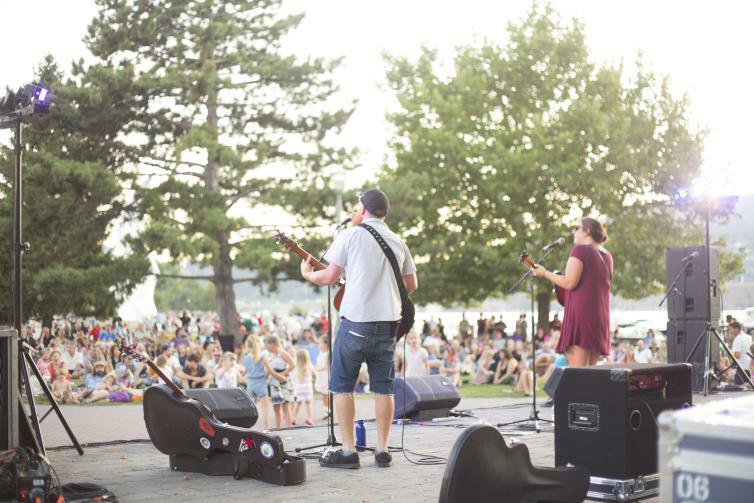 The 44th annual Folkfest takes place at Prosper Place and is filled with colourful, multi cultural entertainment along with a food fair offering tastes of cultures from around the world. 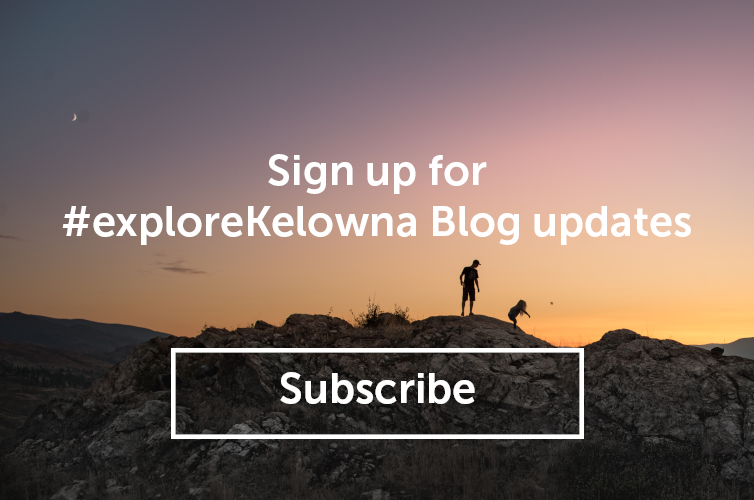 In addition, there will be a Kid Zone, artisan marketplace, free watermelon, and activities inside the Kelowna Art Gallery, Okanagan Heritage Museum, as well as many participating shops and businesses in downtown Kelowna. Kerry Park, Stuart Park and Water Street will all be a buzz with activity including concerts and live entertainment rotating on 5 different stages. For the full schedule of events, click here. There is plenty of parking available both in the downtown parkades as well as on the streets. The Hotel Eldorado and Manteo Resort bring us the Canadian Jetpack Adventures light show at 1:30 pm & 9:30 pm. Kids activities all day at Manteo Resort and live music in the Eldorado Lounge featuring Andrew Johns. Start your day with breakfast from 8:00 am - 11:00 am at Swalwell Park. After breakfast enjoy a day filled with family events from 11:00 am and ends with a movie in the park screening of Beauty and The Beast. Intrigue Wines hosts live music on their vineyard patio featuring Under the Rocks Band, a Canadian Wildlife photo booth and a fresh ‘Beaver Tail’ station. Mission Hill Family Estate is hosting a delicious long table dinner among the vines as you enjoy jazz music and a four-course wine paired dinner. The Canada Day fireworks have been postponed until August 5th, but the fun carries on with bands playing until 10:15 pm. And if you&apos;re still celebrating after that and looking for Canada Day nightlife activities, then BNA Brewing and Okanagan Lifestyle are throwing a Canada Day PART-EH, Doc Willoughby’s is featuring live music with the Devon Coyote Trio, and both Sapphire and LeVel nightclubs are hosting red and white dance parties featuring some of the hottest DJ’s who will be spinning late into the night. For more information on these, and other Canada Day events check out Tourism Kelowna’s Events Calendar. Christina Ferreira is the owner of Impact Events & Brand Management located in Kelowna. When not helping businesses with their events and getting their brand out to the world she’s busy exploring the Okanagan’s beaches, wineries, patios and hiking with her dog Grace.